Finance Minister Heng Swee Keat said yesterday that the Government will not flinch from taking a hard look at itself each time there is a failure, and will do whatever is necessary to put things right. But he rejected the suggestion that Singapore's political leadership has "allowed the whole system to go slack", gone "soft" on themselves and the public service, and failed to hold senior people accountable when things go wrong. Mr Heng, the fourth-generation leader of the ruling People's Action Party, was responding to an editorial by Chinese daily Lianhe Zaobao last week which he said raised serious questions that he and his colleagues will not shirk from addressing. The commentary had pointed to complacency as one reason for a spate of lapses such as the SingHealth data breach, leak of HIV patient data and NS training deaths. It called on the Government to look at the deeper reasons for the lapses, to avoid systemic breakdowns and restore public confidence. Mr Heng said: "We will not flinch from taking a hard look at ourselves each time there is a failure, and doing whatever is necessary to put things right. But I reject the suggestion by some that the political leadership has allowed the whole system to go slack. And worse still, that we have gone soft on ourselves and the public service, failing to hold senior people accountable when things go wrong." In a 1,035-word commentary published in The Straits Times and Lianhe Zaobao today, he sought to show how the political leaders are working to strengthen the system, ensure accountability and put in place a culture of striving to do better. He made the point that every generation faces its own set of challenges and serious incidents. But each time, the country's pioneers learnt the painful lessons, and put things right. These collective efforts have helped Singapore achieve a high level of development, he said. Today, there are larger and more complex systems which have helped to improve lives, but also brought new risks, he added. He cited the MRT network, where a new signalling system has been installed on the two oldest MRT lines, with new trains being purchased and rail lines built to increase capacity. "We should have started renewing the MRT system earlier. But we have learnt from this experience and will keep on improving the system. We are not yet where we want to be. But surveys confirm that commuters have noticed the less crowded trains and more reliable service," he said. On accountability, Mr Heng said failures will occur, and are investigated thoroughly when they do. In serious cases, independent committees of inquiry are convened, and their findings, "however awkward, are made public". Individuals found culpable will be held responsible and disciplined. He added: "If the lapse shows that the leader has been slack, negligent or incompetent, then serious consequences must follow, including removal." But officials should not be routinely dismissed whenever things go wrong, as "doing so may give the appearance of solving the problem when that is not necessarily the case", he said. At the same time, care must be taken that whatever actions are taken do not end up deterring public servants from innovation. "If public officers had not dared to take risks for fear of being axed if things went wrong, we would never have built an exceptional country," Mr Heng said. As for culture, he said each person must strive for quality and safety, and take pride in what he does. "While some failures expose systemic weaknesses that must be fixed, others are caused simply by lax individual attitudes towards work," he said, highlighting the Japanese and the Swiss as examples to emulate. "We must strengthen such personal mindsets at all levels of society... Though this imposes high demands on every Singaporean, we will persist on this path," he said. "If we become complacent and slack, we are finished." 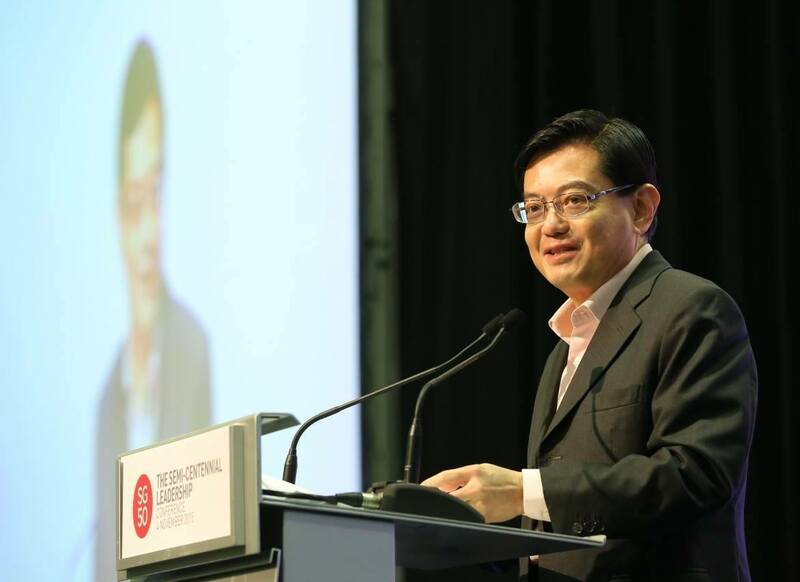 Finance Minister Heng Swee Keat rebuts a contention that recent incidents, including NS training deaths and cyber attacks, are the result of the political leadership's complacency. Is complacency the cause of our recent spate of distressing failures - from training deaths in national service to the SingHealth cyber attack; from power failures to misplaced postal mail? Have we become so lulled by our success that we have allowed high standards to lapse? After the "Anonymous" attacks on government IT systems in 2013, we established the Cyber Security Agency of Singapore. Later, we implemented Internet surfing separation in public agencies, against vocal objections. These have improved our cyber security but have not eliminated all risks. Mr Ting Kheng Siong, writing in Zaobao on Feb 3, is right to caution against creating a public service culture where "Doing more means making more mistakes; doing less means making fewer mistakes; and if we do nothing we will make no mistake". That would be the most serious mistake we could make. Singapore got here because our pioneers dared to take risks. All the ventures we are now so proud of - from Jurong Industrial Estate to Changi Airport - were once carried forward with no certainty they would succeed. That has to be in our DNA, carried forward from generation to generation - to always strive to do better for Singaporeans and for Singapore. The political leadership is committed to this ethos. Heng Swee Keat is the Finance Minister of Singapore.